Keeping up with all the latest ways people communicate can be intimidating. The social media landscape is always changing, with new ideas and networks being invented, adopted, and sometimes discarded regularly. Should the HR department be making sure that employees understand what’s appropriate when it comes to each individual social media account their employees use in their personal time? Although different social media platforms pose different risks, your organization can crafts its policies and culture to deter inappropriate use of any social media platform, regardless of a certain platform’s specific features. We’ll go over what to be aware of when it comes to new types of social media and how to create comprehensive policies for their use. Social media can be defined many ways. But broadly, you can think of it as anything that allows users to create a profile and share content with an interconnected network of users. Social networks – These allow users to connect with others based on existing relationships and shared interests. Users represent themselves as real people according to the terms of the network. Of course the most prominent example is Facebook, which continues to dominate social media use. Another example is Linkedin, which is used for the professional world. A more recent example is Vero, which allows people to post in certain categories, such as books and movies. Media sharing platforms – These accounts are designed specifically to share certain types of media. YouTube is the most popular in this category. Snapchat, a newer option, lets users add effects, drawings, and captions to photos. Instagram encourages artistic photos with filters and short videos and stories. A more recent example is NewTV, which plans to specialize in “Hollywood-style, short-form videos” for mobile use. Blogging and microblogging – These social media platforms encourage users to share their opinions and messages. Some, such as WordPress and Medium, were designed for long-form blogging. Others, sometimes called “microblogging” sites, were designed for shorter posts. Tumblr and Twitter are good examples. In all cases, users interact in comment sections and scroll through update-filled dashboards. Discussion sites and social news – These sites, such as Reddit and Quora, allow users to create accounts that let them post and upvote or downvote news and content and interact with each other to discuss that content. However, these categories are somewhat fluid. The lines between them can blur easily. Users share images of text on media sharing sites such as Instagram and Pinterest, and they post video “blogs” to their YouTube accounts, for example. People can basically use any platform to get any message out to their network or followers. The problems arise not with particular apps, but with the content of the messages employees are posting and sharing. Regardless of whether a message takes the form of an image on a social network, a link posted on Reddit, or a short Tweet, it can do the same amount of serious damage to your company. There has been a bit of a backlash in recent years to privacy invasions and breaches (both perceived and real, legal and illegal) that have plagued networks like Facebook. Perhaps in response, social apps that make content and messages more private have gained popularity. For example, Snapchat debuted with the primary feature of having content disappear after short intervals of time. Other chat, messaging, and videoconferencing apps that are focused on private messaging also continue to grow. For example, WhatsApp, a private chat application, encrypts all messages so that not even WhatsApp employees can read them. It’s now the most popular chat app in more than half of the world. Other social media sites, like the ones listed in this Lifewire article, purposely encourage completely anonymous content. Some of these apps let users publish messages that will be seen by people in the same physical area. Others anonymize messages in a group chat where the people inside know each other. Still others seem to encourage users to post their secrets or innermost thoughts completely anonymously, without even a pseudonym attached. At first glance, it might seem that these apps would make it impossible to ferret out bad behavior when posted. Although it can add a layer of complication to investigations, these apps aren’t as foolproof as they may seem at letting people get away with bad behavior with no repercussions. Disappearing or encrypted messages can always be preserved with screenshots. And the usage policies on many of these anonymous apps inform users that the company must disclose all the information they have about any user to comply with laws, regulations or legal processes, as this Wired article explains. To prevent misuse of social media, HR departments should make several things clear to employees about how social media use can affect their jobs. A good social media policy will give employees a very clear idea about what they’re legally allowed to disclose about their work. Many companies allow users to publicly affiliate themselves as employees of the company on social media and online, but they may draw the line at sharing any internal company information that hasn’t officially been released. The policy might clarify that even vague statements such as “So happy to land a big client today!” might constitute a breach of confidentiality if readers can easily figure out what the poster was referring to. Courts have continued to hold employers responsible for employee harassment, regardless of whether that harassment takes place on site at work or online via a social media platform. Policies should clarify that bad behavior is bad behavior, regardless of where it happens. Employees should understand that even private messages can be used as evidence in a harassment investigation if an employee shows them to a manager. Employees should also be well aware that your company is willing to aggressively investigate even anonymous work-related harassing messages, getting lawyers involved if necessary. Despite a string of high profile firings after offensive social media posts have been unearthed, some employees might still fail to understand that social media posts could affect their job security. If they have agreed to an employer’s code of ethics or other policies on acceptable behavior and their social media activity violates them, it can certainly be grounds for discipline. Employees should also understand the employer’s right to monitor all use of company-issued devices, or of other devices used to conduct work-related issues. This may include personal devices, too, under certain circumstances. An official “bring-your-own-device policy” can help clarify these issues. Employees have always shared information about work personally. In the past, it happened during conversations with friends, or in private messages. But social media has complicated these communications. Information spreads much more quickly than it did before, and can be preserved easily with a single screenshot. 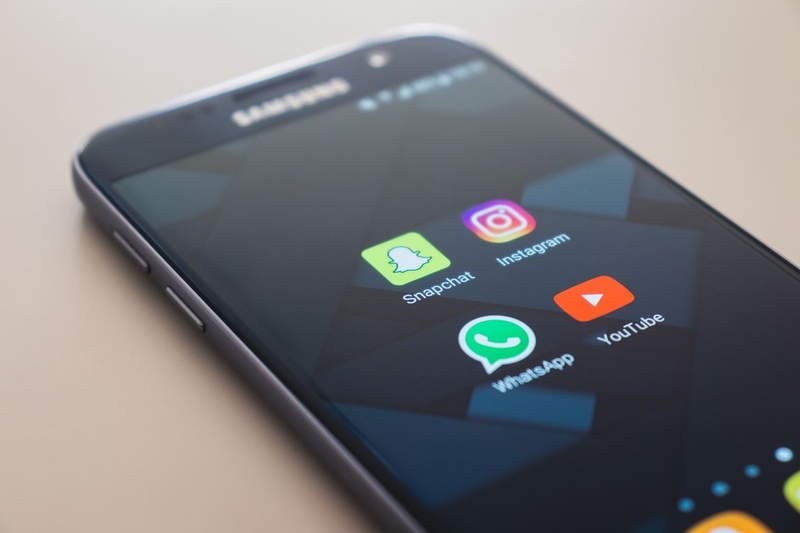 It might be helpful to think of emerging social apps not as intimidating new tools that require a completely new set of rules, but as slightly different iterations of the communication methods that came before them. 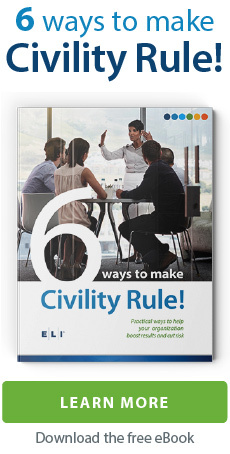 Organizations that get serious about creating a culture where all feedback is welcomed and bad behavior is dealt with quickly and decisively will notice offensive behavior declines everywhere, both online and in real life. If you need help creating social media policies and training that make your organization’s expectations for behavior clear, please contact us at ELI. Our staff’s legal experts specialize in helping organizations of all sizes and budgets achieve lasting cultural change to create welcoming work environments. Consider the repercussions before you post.